FUN TO TALK: Children's Speech-Language Pathologists in Thornhill, York Region and north Toronto. 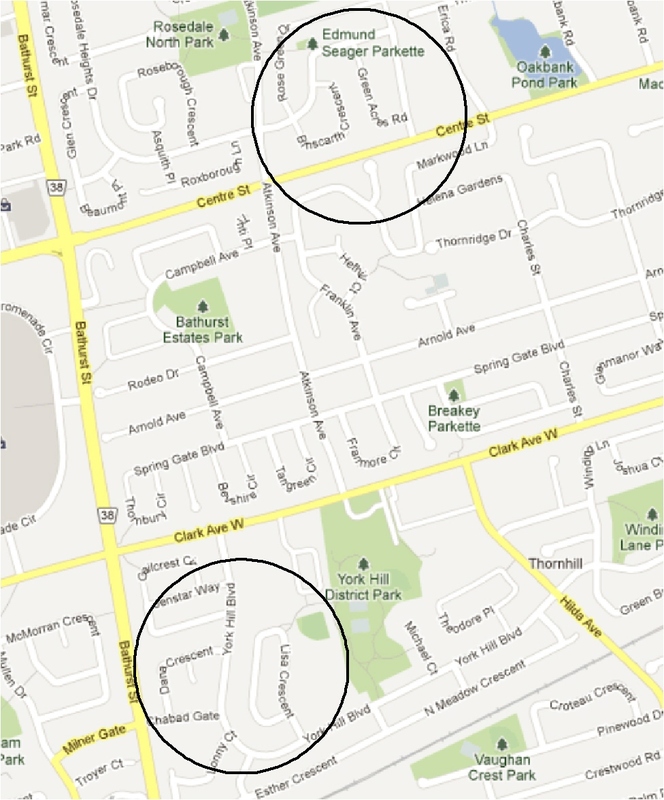 LOCATIONS: Clients are seen in the homes of our Speech-Language Pathologists. 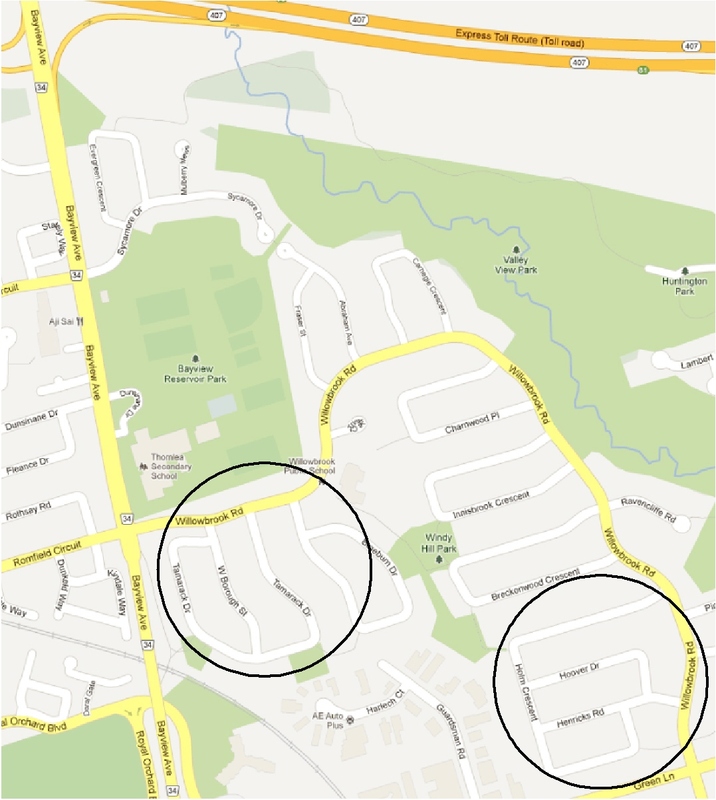 All SLPs are located in Thornhill in the Bathurst to Bayview corridors, south of Highway 7. Please refer to the maps below for approximate locations of the 4 Speech-Language Pathologists of Fun To Talk. For security reasons, we do not publish precise addresses online. HOURS: Sessions are scheduled Monday to Friday with times dependent on individual SLP's schedules. Some evening appointments are available but no weekends.